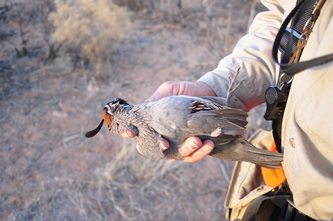 The Valley Sun Chapter of Quail Forever was formed in January of 2012 by a collective group of concerned quail hunters. It was becoming painfully obvious, there wasn't enough quail, enough of the right habitat and resouces quail require, or enough kids afield. The Valley of The Sun Quail Forever chapter meets monthly in Scottsdale to plan how to rectify these issues, and then works tirelessly to implement that plan. Checkout Quail Forever and join our chapter today. We would like to thank AZSFWC.org for all of thier generous support on our habitat projects and youth events and all of the good work they do in Arizona.